Here are two versions of the same card. When ever I have a little boy to give a gift to, these designs are a hit....and really fast to create. 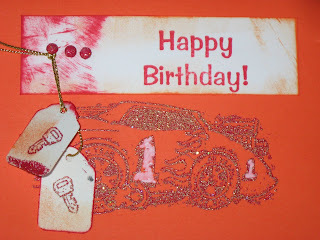 The cars are embossed with red glitter embossing powder and the tag keys are attached with a brad. Pretty easy. 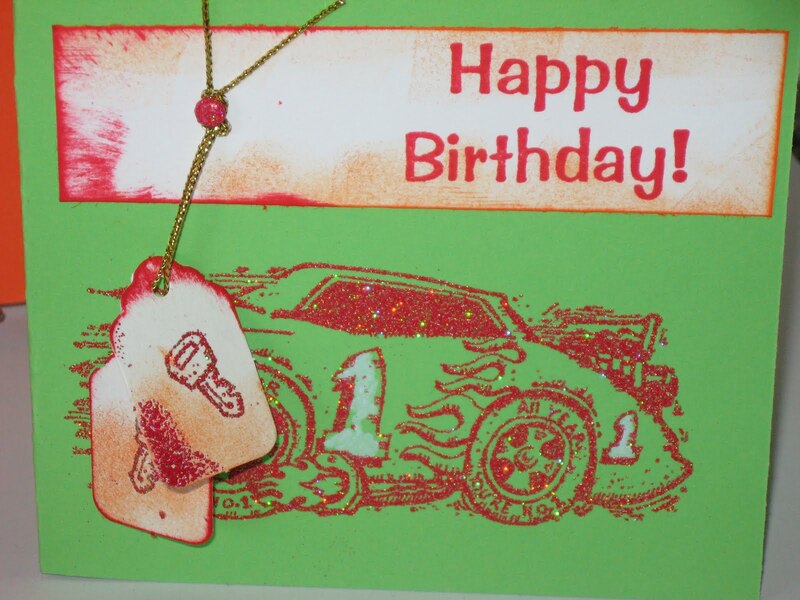 Great cards as usual! Love the picture of you at the top of your blog. I like the new picture, too, of you painting that castle that looks so AWESOME! Very whimsical!